Shirov is a tactical genius whose play at times reminds one of Tahl. He is no longer a world championship candidate, currently ranked #49 with a 2701 rating, but this these two books are a great collection. The games are heavily annotated and there are lots of diagrams. The first edition is interesting because it contains 16 games in a separate section devoted to the wild Botvinnik Variation of the Slav Defense. 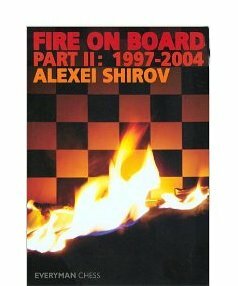 In the introduction Shirov explains, “When annotating the games I have attempted to explain their principle strategic themes, but my favorite subject has always been tactical complexity.” Ha also added how that back in those days he checked variations with Fritz 4 but “…found it useless to point out which moves were suggested by Fritz because when a GM works (with an engine) he has to extract its (best line) from a lot of rubbish…” Of course nowadays engines are a lot better! Shirov wrote, "I have always tried to be not just a tactician--working with a positional player such as Bagirov and studying hard has helped me to develop my own strategic understanding, although chess is nowadays so concrete that pure strategy practically doesn't exist for me." If you like tactics, this book is a gold mine. Oddly enough, many of his most complex games have resolved into endgames and there is an entire section devoted to his endings. 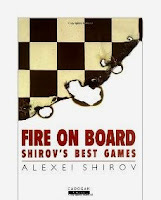 Ironically, Shirov believes he's best at endgames. Shirov’s biggest complaint was Kasparov’s broken agreement to play a title match. In 1998 Shirov defeated Kramnik in a match. Kramnik got paid, but Shirov got nothing. 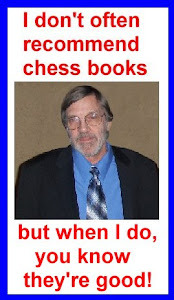 His ‘pay’ was supposed to be a World Championship match with Kasparov with the promise of a big payday. Let Shirov explain. “I received a phone call from Luis Rentero, the match organizer, and he horrified me with the news that my match against Kasparov in Seville was cancelled and nothing similar was being offered in its place. When I told him that it was his obligation, in that case, to pay me two hundred thousand dollars cancellation fee according to the contract signed in March, his answer was that he would eat that contract and didn’t want to compensate me anything.” On the other hand Kramnik, the loser, was rewarded financially and later got to play a match against Kasparov Needless to say all the shenanigans surrounding the championship of that day left Shirov bitter and as a result his play was adversely affected. advance home preparation, the other at-the-board inspiration at length. Also, remember his comment about Fritz 4 in Vol, 1? In this volume Fritz appears throughout in Shirov's analysis even though he still rebels against the necessity of using one.